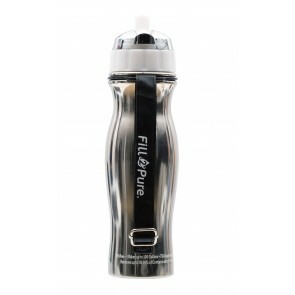 Our Regular & pH Alkalising filter bottles remove a range of tastes, odours, chemicals from treated tap water (home, gym, office) including Chlorine, 90% of Fluoride, DDT, Arsenic, Aluminium, MTBE, Lead, Mercury, Copper, Chloroform, Chromium, PCBs, Pesticides, Volatile Organic Compounds, Trihalomethanes, Nitrates & Nitrites, and Arochlor 1260 (PCB) providing you with great tasting pure water. 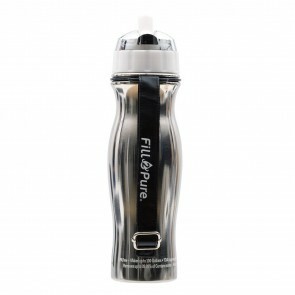 Use with any treated tap water source. Not for use with Rivers, Lakes or Streams. Please use our Advanced or Extreme Filters for outdoor use.